Ruth Pompey, borough secretary, and George Riel, council president, meet with Taris Vrcek and Jeb Feldman of the MRCDC. Please join us in welcoming Ruth A. Pompey to the head administrative role for McKees Rocks Borough. Ruth comes to us from the City of Pittsburgh where she has more than 25 years of experience in public finance and management. She worked her way through the ranks of Pittsburgh’s finance office starting as an office auditor, eventually becoming the assistant city treasurer. 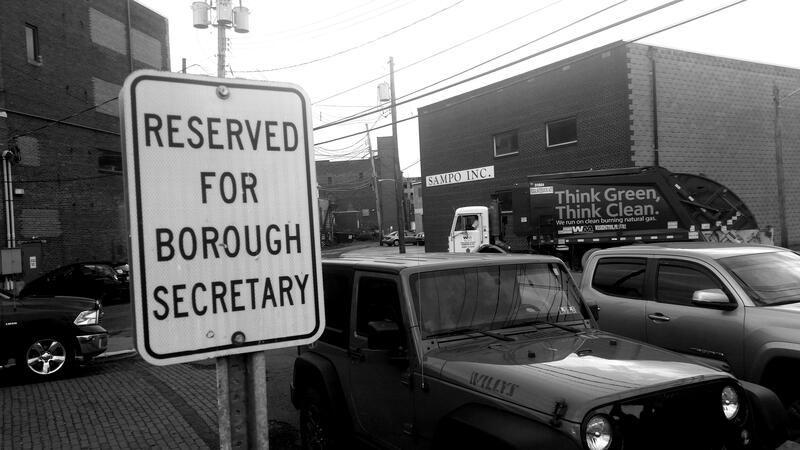 The city’s treasurer position was eliminated after she served in the role for more than four years, which led her along West Carson Street to us here in McKees Rocks. She joined McKees Rocks as Borough Secretary on Oct.17. McKees Rocks council members are working to update her title to that of Borough Manager in order to better reflect the responsibilities of her job. Currently a Beechview resident, Ruth says she was born and raised in neighboring Coraopolis and has always had an interest in our community. While traveling to the borough for interviews with the hiring committee and later with council members, Ruth said she felt excited to find that West Carson Street along Route 51 was finally reopened to traffic. “[It was like] the community was held hostage,” she says while reflecting on the three-year nightmare that impeded traffic flow and negatively affected area businesses. Ruth, 57, is the mother of a son and step-daughter and is the grandmother of four. We’ll check back in with Ruth after she’s had time to settle into her new role and new town. Right now she’s “trying to get [her] arms around” the day-to-day operations and everything her managerial/financial position entails before she comments on plans for the future. We look forward to seeing what the future brings.